I was glad to receive this postcard in the mail. 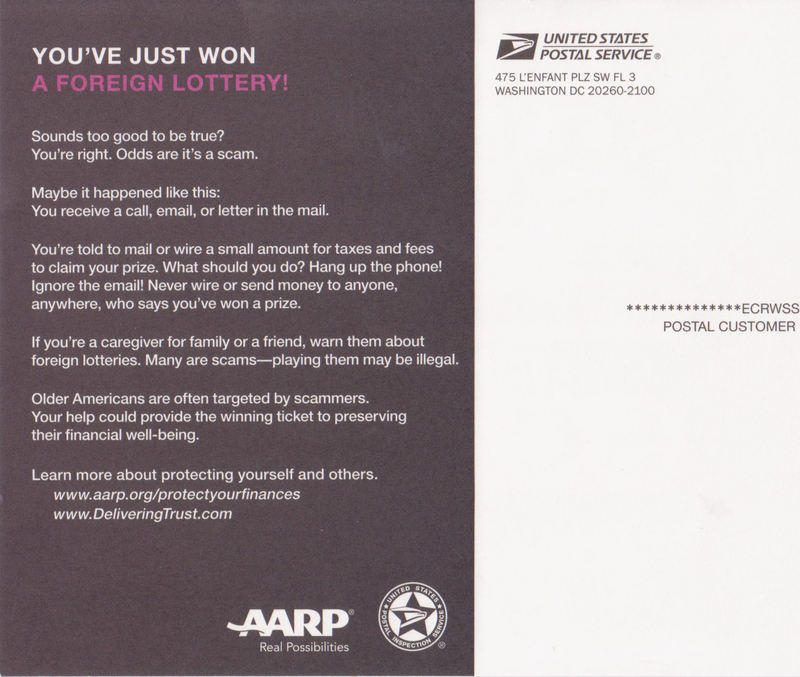 The AARP is warning people about foreign lottery scams where you’re requested to mail or wire money to cover taxes and fees related to claiming prize. Emails or phone calls of this nature should be avoided and/or deleted. Do not respond to these solicitations. Please pass this on to friends and family. Thanks for the heads up Shirley!